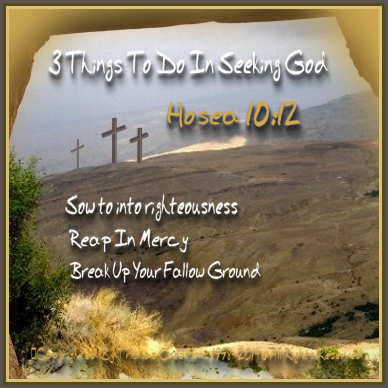 "3 Things To Do In Seeking God"
Welcome to "3 Things To Do In Seeking God"
Have you ever thought about how we can get closer to God and seek Him with all the right ways? I know I have, there are times I question what am I doing wrong not to feel His divine Joy and His approval for what I do to be a better person and do what I feel He wants me to be doing to bring other's to Him. Sometimes, I feel I am not good enough to become one of those who can bring the lost to Him, am I doing something wrong, am I seeking Him in the wrong way? Below I have listed 3 Ways to Seek God that I have gotten from a Bible from Benny Hinn Ministries and I am in hopes that they help you. This gives us the answers to the questions of how long we would seek the Lord –– till He Comes and rains righteousness upon the seeker.